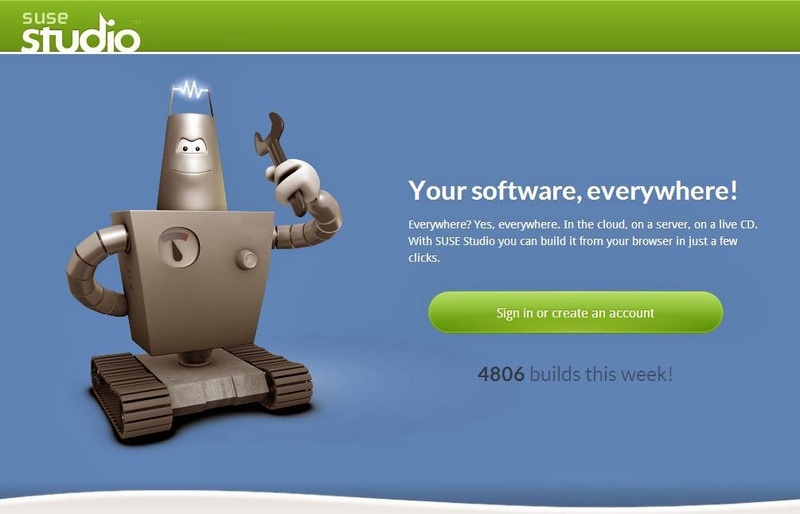 The SVG Way: Build a Linux OS from Scratch...!! 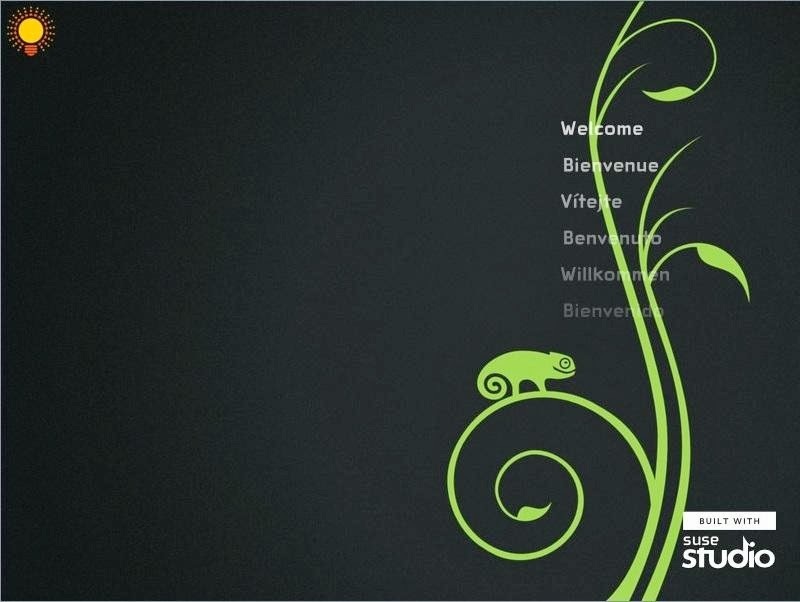 Suse Studio gives you the power to achieve your ambition of making an OS. 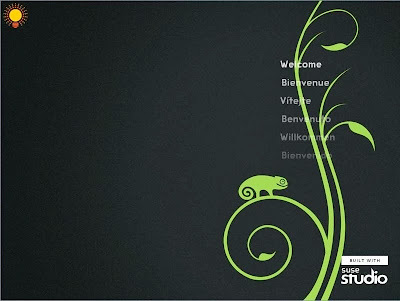 Suse Studio provides you a free space of 15 GB to create a number of custom copies of Linux based OS. Now, you may ask, "How to get started ?" 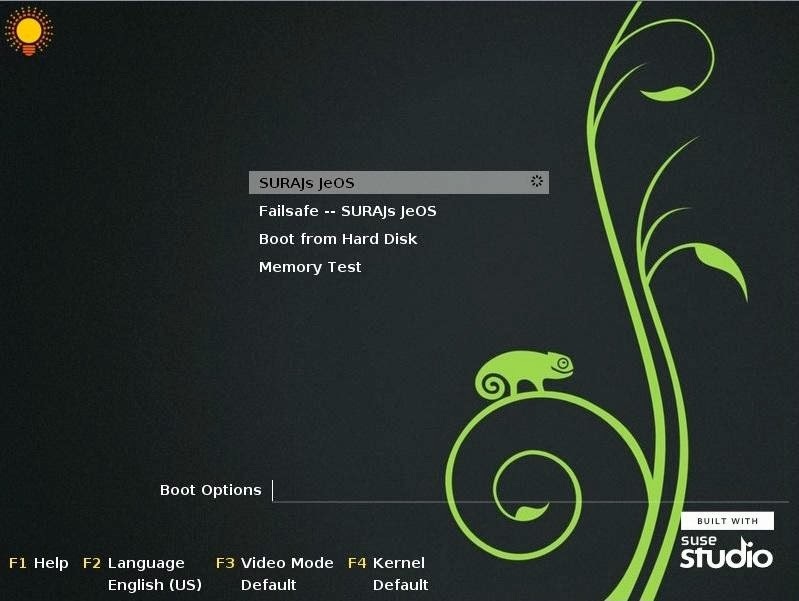 The whole concept of Suse Stdio is quiet simple and the User Interface is suitable for both Advance and Novice users. Suse Studio provides you a number of ways to Sign Up their website. If you have an account with any of the websites like Google, Yahoo, Twitter or Facebook then you can directly Sign Up to the website by just verifying your account, else you can make a new account on either Novell or OPenID nad then proceed further. 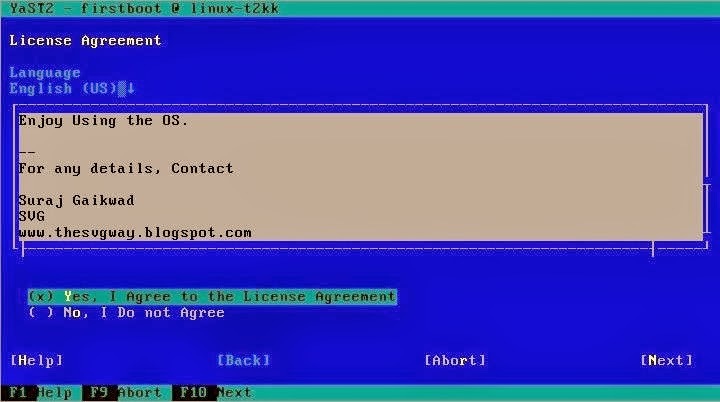 Once Signed In, you will have to choose from a base template for your Operating System. 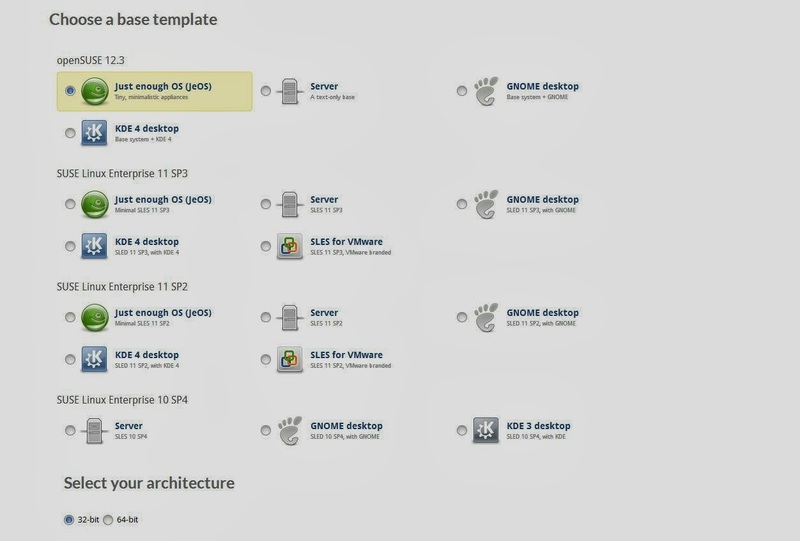 After that select the architecture for the OS, either 32-bit or 64-bit. 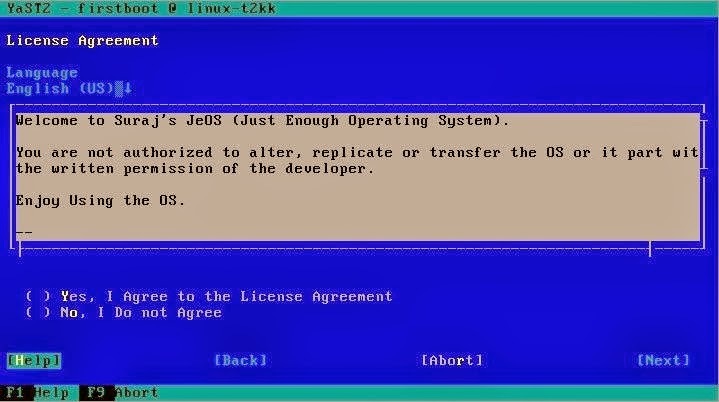 Then provide a name for your Operating System. 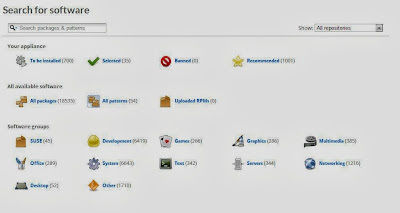 Now, select the softwares you would like to have pre-installed in your OS. Just be aware that, as the more number of software you choose the size of OS will increase and you may find it difficult to download and burn the OS on to a CD or DVD. 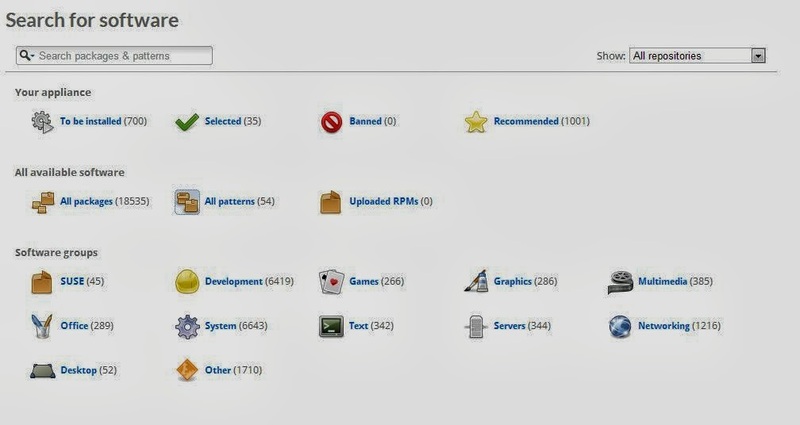 So, try to keep the list of softwares as small as possible. 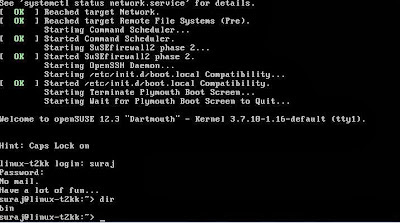 Next step is to start giving a personal touch to your OS. Goto the Personalize Tab and select the Logo and Background for your OS. 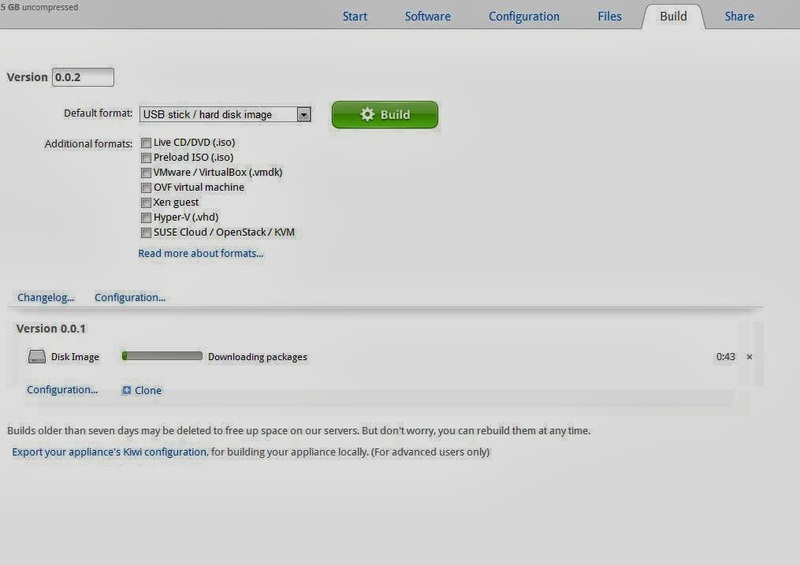 You may choose the option to upload your own images. The subsequent preview of your OS will be shown to you. 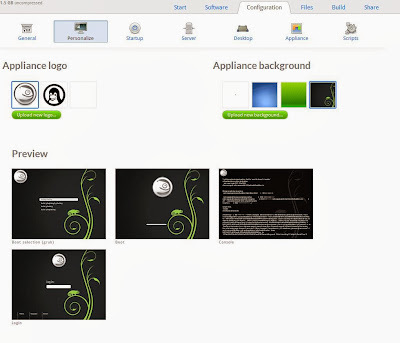 If you are an advance user, then you may choose a step ahead and customize your OS by visiting the other tabs such as Start up, Server, Desktop, Appliance and Scripts. 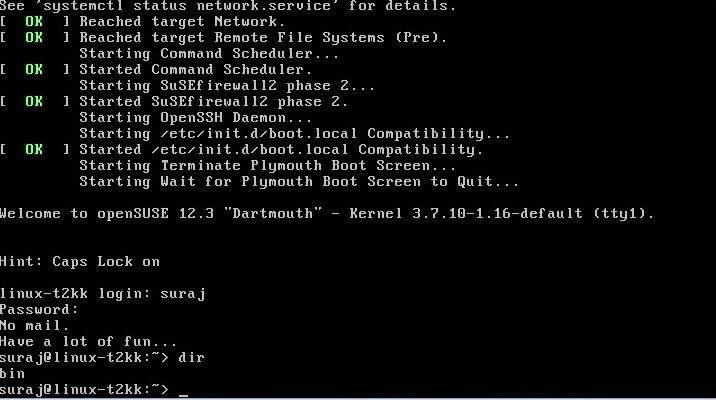 Else you may skip this step and straight away choose to build your OS. 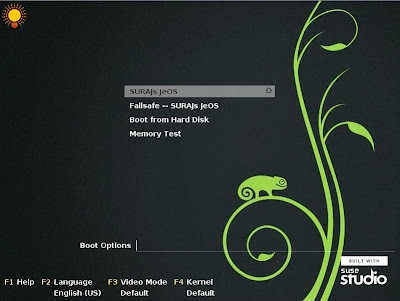 There are various options provided to build and download your OS in different formats, you may choose from USB stick/ HDD image, Live CD/DVD, Virtual Box Disk or even place the OS on Suse cloud. 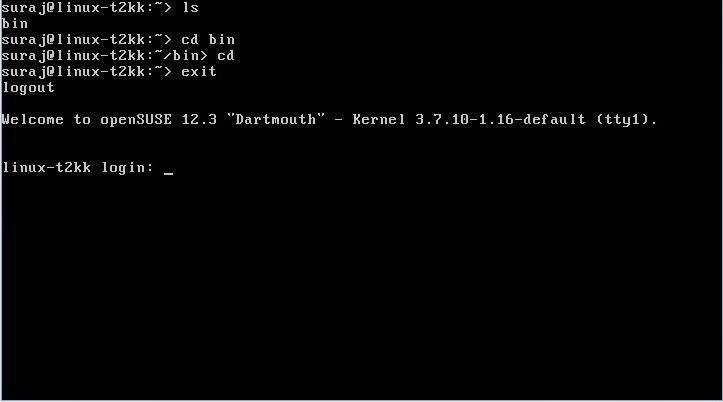 You can also test your OS before downloading it. Note: Builds older than seven days may be deleted to free up space from their servers. But you can rebuild your OS at any time. So, if you had finalized your OS, download its copy for you convenience. 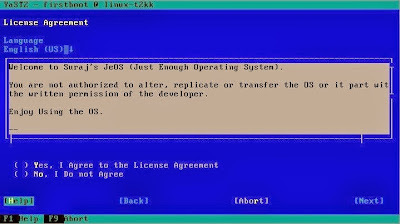 Congratulations, you are now ready to use your own OS. Best of Luck. And just give it a try to make your own OS. 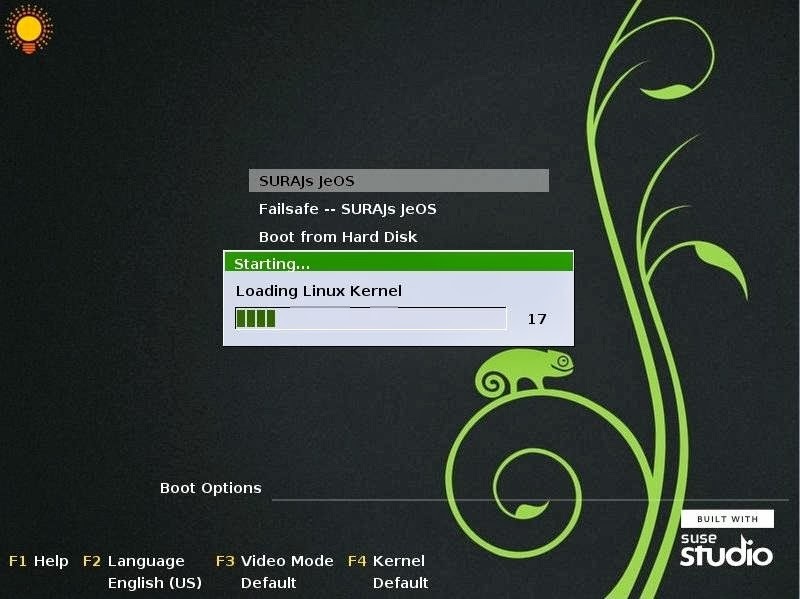 Here are the glimpses of my small OS, which I named as SURAJ's JEOS (Just Enough Operating System), which has Command Line Interface and comes with build in GCC Compiler.